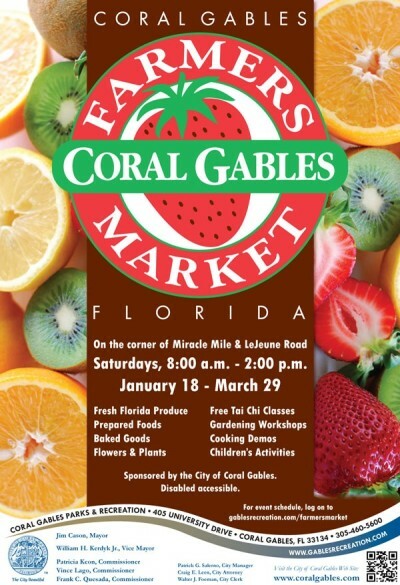 Starting this Saturday, January 18th, the Coral Gables Farmers Market is starting up once again. Located on the corner of Miracle Mile & LeJeune Road, the market will be open every Saturday from 8:00 AM until 2:00 PM. This means lots of busy weekend mornings right in the heart of Coral Gables, ideal for scheduling open houses because of the increase in traffic.